For a Polish translation, go to the excellent page developed by Marie Stefanova on her blog. For a Russian translation, go to the excellent page developed by Sandi Wolfe. For a Estonian translation, to the excellent page developed by Johanne Teerink. For a Spanish translation, go to the excellent page developed by Laura Mancini on her blog. For a Norwegian translation, developed by Lars Olden on his blog. For a Filipino translation, developed by Jessica Higgins and her team on their blog. For a Russian translation, nicely developed by Mary Davidson. 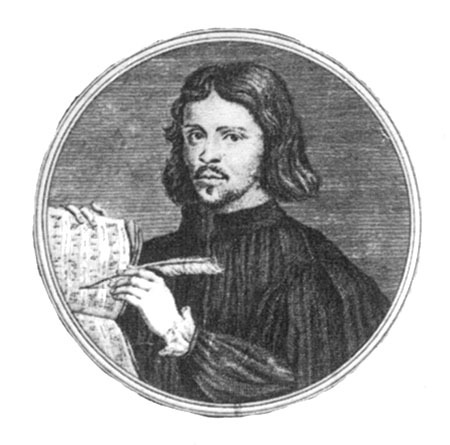 Thomas Tallis is was the most influential English composer of his generation, as well as one of the most popular Renaissance composers of today. Tallis served as an organist and in other professional capacities for four English monarchs, including in the Royal Chapel. Together with his most famous student, William Byrd, he obtained a monopoly right from Queen Elizabeth I for the publication of vocal music. Tallis presided over the most dynamic period in English musical history, during which the continental style of structural imitation was largely adopted by English composers in the wake of the Reformation and suppression of the monasteries. Though Tallis' music includes a wide range of styles and objectives, the bulk of his output is choral music, both in the older Latin motet style and the newer English anthem style. Lyrical ideas usually dominate his musical impulses, and his polyphony is often primarily chordal or homophonic. He was not especially interested in technical counterpoint as such, and his settings have a consequent air of serenity about them that arises from the straightforward musical means used to develop melodic ideas. His sacred Latin choral music is his most highly regarded achievement; this large output is mostly in the motet genre with a wide range of personally selected texts, set syllabically in the style of the continental Renaissance masters of Italy and the North. His English Anthems also played an important role in the early development of this long-lived genre. 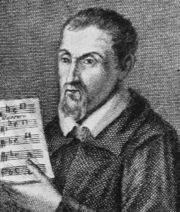 By far the most celebrated composition of Allegri is the Miserere mei, Deus, a setting of Vulgate Psalm 51 (50). It is written for two choirs, the one of five and the other of four voices, and has obtained considerable celebrity. It was composed during the reign of Pope Urban VIII, probably during the 1630s, for use in the Sistine Chapel during matins on Wednesday and Friday of Holy Week. Tallis: Credo from Mass in Four Voices (7:09) from the album Benedictus - Classical Music For Reflection And Meditation - 1999. Allegri: Miserere (Psalm 51 - Ash Wednesday; 13:51) from the album A Beginners Guide To Classical (complete) Allegri - 2007 Listen while viewing the Sistine Chapel. Note: these materials were authored by Todd McComb, from his All Music Guide, and are presented here for use by my students, for limited, non-profit, educational purposes.